If you need a simple and delicious idea for a warm weather appetizer, these Melon and Prosciutto di Parma Skewers are for you. 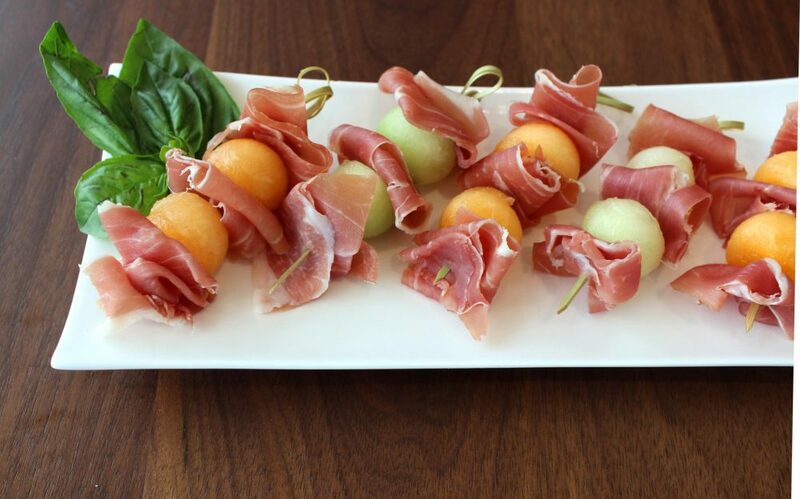 The melon complements the savory flavor from the prosciutto perfectly for a refreshing summertime bite. Mix and match with your favorite melons to make a quick snack for an outdoor barbeque or to entertain the kids. They’re great to serve on their own, on a charcuterie platter or even to pack for a picnic on-the-go. Pair these melon and prosciutto skewers with a light, fruity beer to complete your summertime experience. Take a quick look at this melon skewer inspiration from Lucie Fink. Cut each Prosciutto di Parma slice in half, crosswise. On a small skewer or toothpick, stack the melon and prosciutto, alternating between the two until you have 2 to 3 pieces of each on the skewer.